Current Issues – The Clutter Blog | You ARE Your CLUTTER. Celebrate it! While sorting through my stuff, I came across beautiful hard bound New Yorker Diaries from 1970 – 1990 that I have lugged around for nearly 32 years. Dead material? You bet! Who cares when I had my eyes checked or when I heard Maya Angelou speak at a Vancouver Conference? Out of curiosity, I opened my 1980 Diary and started reading it, as I used these diaries for journal writing too, and not just records of appointments. I could not believe my eyes when I found reference to a massive herring spawn in our Salt Spring Island Cove on July 29, 1980. Biologists are looking for “anecdotal” records of the abundance of herring in our protected Gulf Island Bays because the Department of Fisheries (DFO) insists there never were resident populations of herring and they are proposing a 6,000 tonne limit on the herring fishery this season – which could wipe out our resident populations, being significantly over the quota allowed last year. Finding this innocent entry was like finding a pearl in the ocean – and it is useful information today. No one thoroughly understands how herring populations work. DFO measures the big spawns that are commercially viable, and once the stock is depleted, they quit measuring. What we are discovering is that herring used to be in all the protected bays up and down the coast, and there are very few left. I made a xerox copy of my note and gave it to Briony, who brought it to a meeting re. the herring quota for the Salish Seas. Briony told me the reference was perfect, because 1980 was the LAST LARGE HERRING SPAWN RECORDED in our Southern Gulf Islands. People like Briony thought we had a local summer population of herring, and now there was anecdotal proof. Fisheries, with all its “scientific wisdom” allowed our local resident populations to be virtually “wiped out” believing they didn’t even exist. Pacific Herring (clupea pallasi) have the unenviable fate of being dinner to a large population of sea birds, salmon, seals, sea lions and whales. They are a vitally important fish in the food chain web of the oceans. 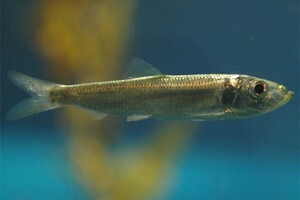 Only one herring out of 10,000 eggs laid survive to return to spawn. They live up to 15 years – if they are lucky and escape the jaws of predators! Have you ever seen a Humpback Whale scoop up a tonne of herring in one gulp? Go to You-Tube and watch this awesome sight. I hardly know because my task is to make my life lighter with my past history so I can spread my wings and fly with a new “me” into my next big adventure. I still dream of that Bull-dozer. However, I am thrilled that I found this reference to the Herring Spawn – because it fills in a missing link that is significant today. On the same page I have reference to Barn Swallow babies being coaxed out of their nests under the eaves of our house. Another sad note, because we used to have 14 nests under the eaves and for many years there have been no swallows with their cheerful chatter and swift acrobatic flight. Never did I think the swallows would vanish. Never did I think my grandchildren might not know what a swallow was except for a book image like the extinct Dodo Bird.